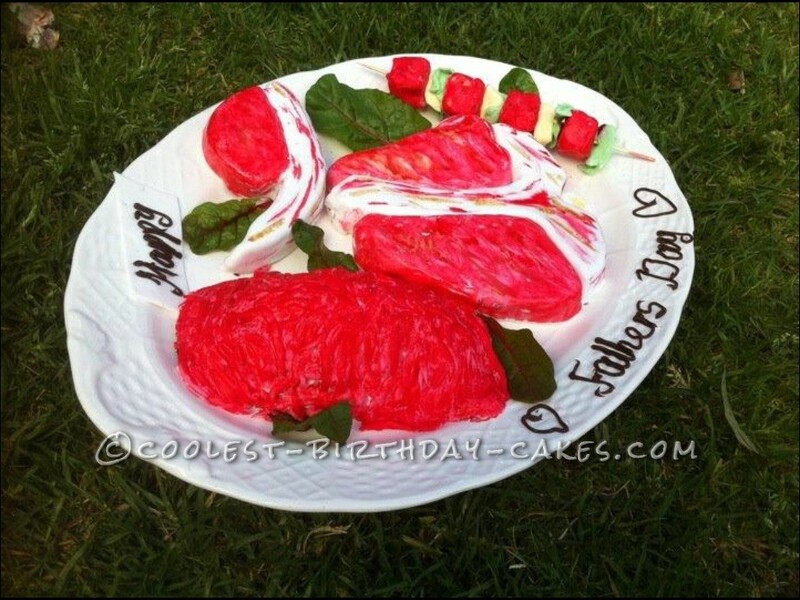 My husband is a butcher and the kids thought it a great idea to make dad a meat tray cake. So we took on the challenge. The mince was the fun part. Covering a chocolate cake with butter icing then rolled hundreds of red fondant to string over it. He loved it!! !